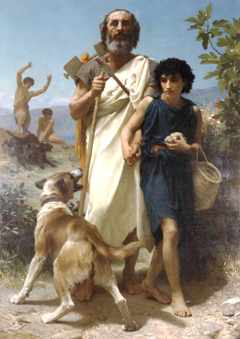 The history of philosophy has always seemed to me like a great big guide for travelers. Within its cryptic mysteries and abstruse ponderings lies that same rapacious spirit for travel as exists in any seasoned explorer. Whether you’re looking inward or hiking outward, the goal is always psychological: to open your mind and to challenge old ways of thinking. What follows is a list of 5 great thinkers who have fostered in me a ferocious curiosity about the world, an exhilaration for new experiences and the wherewithal to continually stretch personal boundaries; the traveler’s spirit! Any list such as this needs to begin with Homer’s The Odyssey (as does any study of Western philosophy). No literary work embodies better how an epic voyage can be a powerful metaphor for inner travel. If its eloquent verses don’t inspire the wanderlust in you, nothing will. Every time I’ve read The Odyssey, I’ve been overcome with the desire for all of my travels to be epic and life-altering. If you bring it along and read it often, its positive influence may also leave your own travel journal mysteriously written in dactylic hexameter. 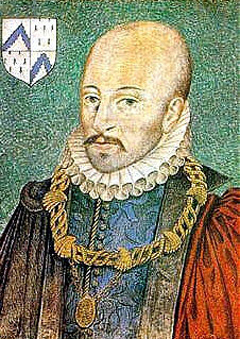 Montaigne has occasionally been hailed as “the first tourist”. Of course, his Travel Journal is a shining example as to why he’s famous for popularizing the essay as a literary genre. Thus, Montaigne is more than just a great thinker who understood inner travel; he’s a thinker who inspired inner travel writing, too. If you’re railing around Europe you might be interested in his various musings about regional differences throughout the continent. 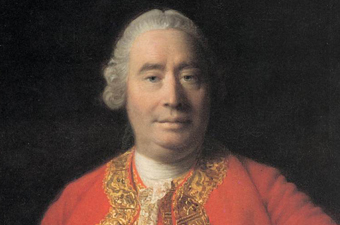 David Hume was a Scottish philosopher who had a large influence on me as a young man. He was an empiricist, which means he believed that if knowledge is going to come from anywhere, it has to come from what your senses tell you about the world. But what made Hume unique among the empiricists of his time was his skepticism. He argued that our understanding of the world is not generated through reasoning, but instead by a certain habit of mind, or more by the practicality of a situation. Basically, this made Hume an anti-dogmatist, and he taught that we must constantly challenge our own assumptions. His advice to the traveler would have been to always be open to new experiences, and to not get too comfortable within a limited perspective. 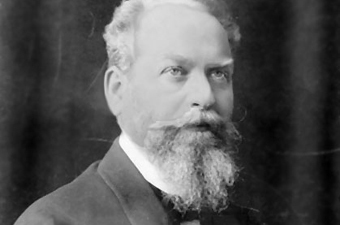 Known as the father of phenomenology, nobody exemplifies the notion that experience is the source of all knowledge better than Husserl. Thus, for Husserl, understanding inner travel would have been more than important, but fundamental. Phenomenology is all about identifying how the features of objects are perceived, which as anyone who has experienced culture shock might tell you: it’s a life-shaking and profound process. Husserl’s writing may seem like heavy reading on the road, but if you can parse it, there are few worldviews which declare more vividly that all of our outer journeys begin and end from within. When many people think of existentialism, they imagine black-clothed Parisians sipping coffee and puffing on cigarettes, questioning whether their lives have any meaning. But reading Sartre will quickly cure you of that misconception. Rather, the tenets of Sartre’s thought empower the individual to forge in the smithy of their soul their own life’s meaning. The existentialist, like the traveler, is fundamentally obsessed with living an authentic life. And that means constantly challenging yourself to do things differently. 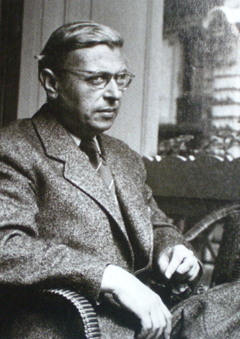 For Sartre, the individual is fundamentally, metaphysically open to new experiences. For me, nothing extols and empowers the traveler’s attitude better than the existential attitude. What other Western thinkers embody inner travel? Share your thoughts in the comments!